The scientific name for this plant is Trachyspermum ammi. Shape: They are oval in shape with a ridged appearance. Size: The seeds very small in size. 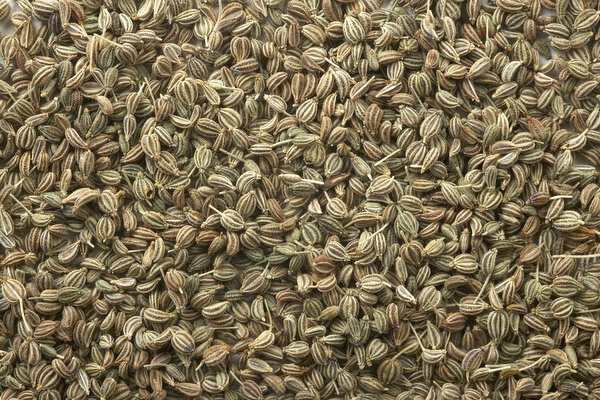 They look like smaller versions of Cumin seeds. Color: Their color varies from yellowish-brown to grayish green. 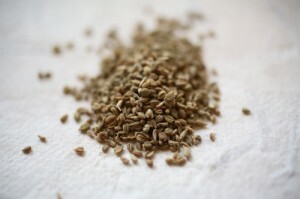 Taste: Raw seeds have a hot and pungent taste. 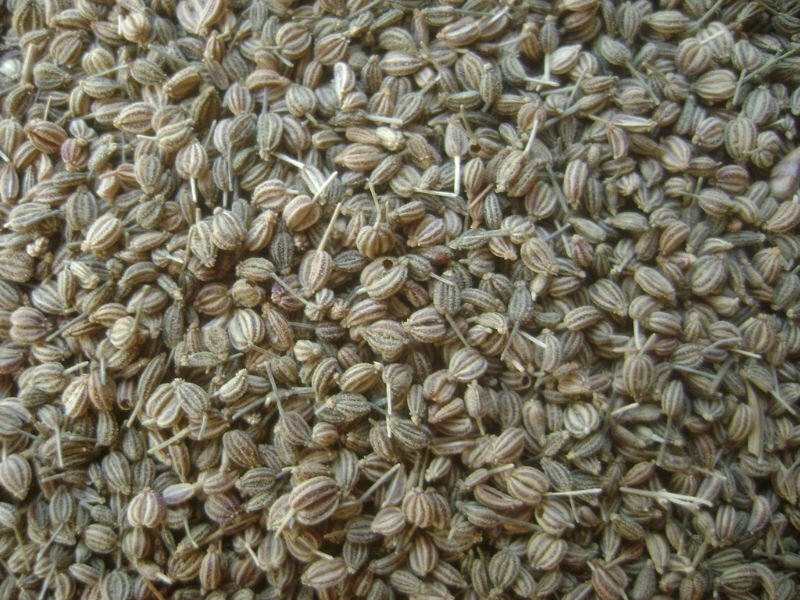 Fragrance: The smell of these seeds resembles that of Thyme as Ajwain seeds contain Thymol. The Trachyspermum ammi is an annual herbal plant growing up to 3 feet in height. Their appearance is similar to that of the Parsley plants. They have narrow green leaves and small delicate flowers. The fruits pods of these plants are often called seeds for their seed-like appearance. The Carom plants are believed to have originated from Egypt in Middle East. They are widely grown in India, Afghanistan and Iran. They are widely grown in gardens for their seeds which are used for both culinary and medicinal purposes. These plants can be grown easily form the seeds. Well drained loam soil with a pH between 6.5 and 8.2 is ideal for them. They grow well in cold temperatures ranging from 15 °C to 25 °C. The plants can grow both in direct and partial sunlight. Relative humidity between 65% and 70 % are required for them to grow properly. The umbels are harvested after they are properly matured. Harvesting is done during the later parts of winter or earlier in spring. 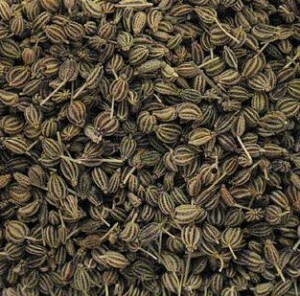 Water distilled from the Carom Seeds is known as Ajwain Water and used as a home remedy for various digestive disorders and stomach pain. This spice is used for numerous culinary purposes. 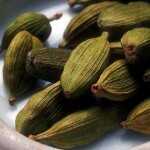 It is counted among the most used spices in various parts of the world. 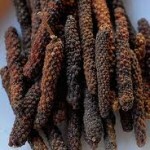 It is a main ingredient for various dishes in the Indian cuisine. The seeds are used for making various vegetable dishes as well as for flavoring pickles. 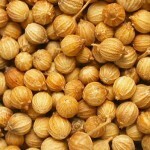 This spice is used for seasoning chicken and fish along with various other spices like Coriander and Cumin. These seeds are also used for preparing root vegetables, beans and lentils. 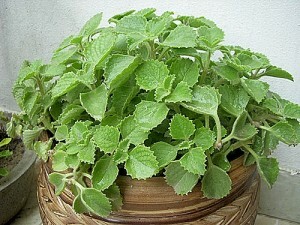 They are used for making herbal tea, known as Ajwain tea. They are widely used for flavoring snacks, biscuits, sauces and soups in India. The seeds are pickled along with other spices like turmeric, mustard seeds and fenugreek. They are used as a mouth freshener. No spice can be a perfect substitute for another one. 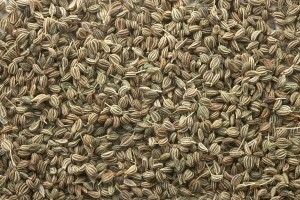 But, one can use dried thyme or oregano instead of Ajwain if the later is absolutely unavailable. They should be stored in air-tight containers in a cool, dry place away from humidity and direct sunlight. These seeds do not have a very long shelf life because their essential oils evaporate within a short time, making the seeds lose their flavor. 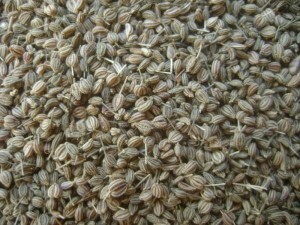 Oil is extracted from the Ajwain leaves, flowers and seeds following the steam distillation process. This colorless to brownish oil is highly valued for its medicinal properties and is widely used in pharmaceuticals. The oil also has many edible uses. It is used in various cosmetics as well. It is generally safe to consume Carom Seeds in moderate amounts during pregnancy as it helps in digestion during this time. The seeds also maintain proper health of the unborn child. But, it is advisable to consult an expert in case of any adverse effects. Ajwain water is also believed to accelerate recovery after childbirth. They do not cause any side effects when consumed in moderate amounts. But over consumption may cause some adverse effects in some people. The seeds stimulate gut secretion which can worsen the condition of an existing stomach ulcer. This spice should also be avoided by individuals suffering from diverticulitis conditions, liver diseases and ulcerative colitis. One should consult a doctor if any side effects occur. These seeds are not generally used for losing weight. 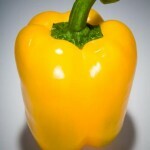 They have appetite stimulating property which is not desirable for dieters. Ajwain can help to lose a little weight by stimulating the bowel movements. But this weight loss is not permanent and is very likely to return within a short time. This spice is generally available in Indian and Middle Eastern spice stores. The price for 14 once of the seeds ranges from $10 to $ 15. The oil extraction of Carom Seeds contains the highest amount of thymol among all spices. Their thymol contents made them useful in surgeries as an antiseptic, especially during the earlier parts of the 20th century. They are often mistaken for Lovage seeds. Here are some images of this amazing spice.